Design-to-Build — Victory Solutions, Inc. Victory Solutions provides expertise in the full lifecycle of prototype development and integration. Our design-to-build and testing capability is best expressed by the technical challenges that our engineering team solves for a variety of customers. 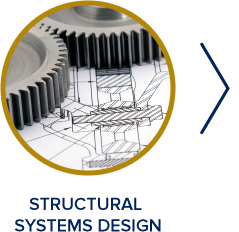 VSI designs structural systems that range from space flight hardware to modular defense systems for troop vehicles. Our experienced engineers utilize multiple CAD packages such as SolidWorks, Creo, and ExactFlat to develop dimensionally accurate 3D models with both functionality and manufacturability in mind. 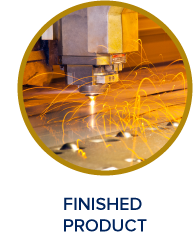 We have proven knowledge of manufacturing techniques for prototype development and integration and associated design constraints. From static thermal analysis of engine case components to fluid dynamics and nozzle design, VSI engineers utilize a suite of software packages to paint a picture of component behavior in real-world scenarios. 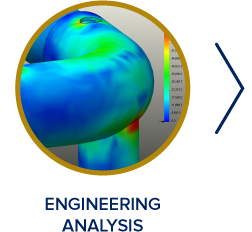 Our experience in the aerospace and defense industries leads to exceptional analysis capability for subjects in austere environments, including surrounding high-explosive events and hypervelocity impacts.